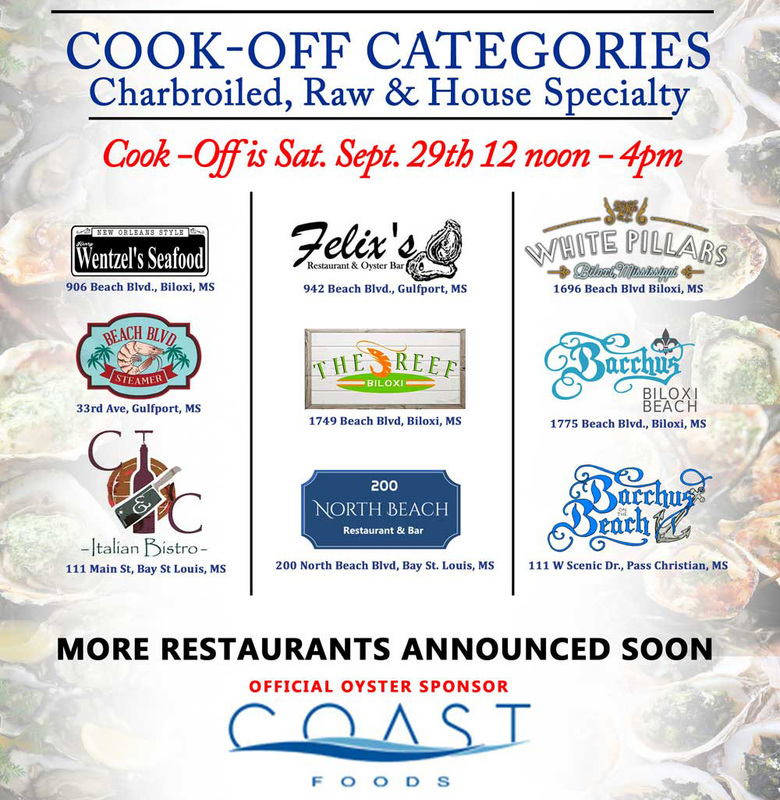 Oyster Cook-Off Competition will be Saturday, September 29th from Noon till 4 p.m. ONLY. Sampling tickets will be available (you must have sampling tickets in order to sample the competing restaurants oysters during cook-off). You can sample oysters from the best restaurants on the coast competing during the Oyster Cook-Off! Charbroiled, Raw & House Specialty will be the three types of oysters available for you to sample during the Oyster Cook-Off only! Saturday 29th, Noon – 4 p.m.
Sampling tickets will be sold at the event by the dozen only / one dozen (12) tickets per book, $15 – each ticket is good for one oyster from any of the competing teams. By giving the team a ticket to sample their oyster it also gives that team 1 vote for the “People’s Choice” award. The team at the end of the cook-off with the most tickets will win the “People’s Choice” award. Award ceremony will be directly following the cook-off on stage.